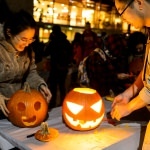 The campus community is finding many creative ways to celebrate Halloween – carving pumpkins on a crisp October night, wandering the oh-so-spooky hallways of Humanities, hobnobbing with history's greatest artists. 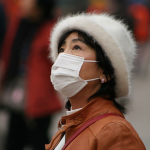 University of Wisconsin–Madison computer science researchers have developed a method for using social media posts to estimate air pollution levels with significant accuracy. 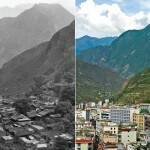 A unique collection of photographs documenting a century of landscape transformation in China will be on exhibit throughout November at the University of Wisconsin–Madison. The exhibit, "Evolving Landscapes: 100 Years of Change in Western China," will be the first-ever public presentation of the images. In its first year, the University of Wisconsin–Madison Shanghai Innovation Office (SIO) has hosted high-level delegations, coordinated conferences that have brought together Wisconsin and Chinese experts from academia as well as from the public and private sectors, and facilitated collaborative agreements. In forging connections with China, the University of Wisconsin–Madison has created an international model for the university. An upcoming panel of UW–Madison faculty will examine how this partnership with China is evolving and what it means for the future of the university and the student experience. While en route to Beijing in 2011 to assume his post as the new U.S. ambassador to China, Gary Locke stopped at a Starbucks in Seattle-Tacoma International Airport to buy a cup of coffee. A Chinese-American businessman snapped a photo and posted it on Sina Weibo, the Chinese version of Twitter. The Wisconsin China Initiative (WCI) at the University of Wisconsin–Madison is ramping up efforts to engage with faculty and staff across campus to promote interests and coordinate activities in the Greater China region as Nicole Huang, professor of Chinese literature and visual culture, takes over as director. Six world-class athletes arrived in Madison last weekend to become students in the Chinese Champions Program at UW–Madison. The UW–Madison Shanghai Innovation Office, which will serve as a focal point for the university’s growing engagement in China and across East Asia, has officially opened.